All Paramount Citrus employees can visit the company's new, on-site health center. The almond harvest is well underway in Madera County. Along a tree-lined, rural road, about a dozen Agriland employees are loading almonds into a huge elevator. The nuts will then be loaded into a truck. They will appear on the shelves as Blue Diamond-brand almonds, among others. As a company of 175 employees, Agriland is considered a large business under the Affordable Care Act. Beginning in January 2015 – that’s a year after most of the law takes effect – the company will be required to offer affordable, high-quality health insurance to its workers, or pay a fine. The company’s obligation is to offer insurance; it’s the employee’s choice to accept it or not. The company will comply with the law. But CEO Jim Maxwell is concerned that many of his low-wage workers can’t afford to buy into a traditional health insurance program. So the company has also established a partnership with a local community health center. While it’s not insurance coverage, the partnership will improve employee’s access to preventative and primary health care. In the face of the Affordable Care Act, many large agricultural employees are facing a similar quandary. The challenge is to develop a health program that complies with the federal health law. It must be affordable to growers, and beneficial to their workers. “There was a great opportunity for the Affordable Care Act to provide extended coverage to farmworkers, but the reality is that very few will actually obtain benefits under the ACA,” says Joel Diringer, a health policy consultant in San Luis Obispo. The main reason, he says, is that two-thirds of farmworkers are undocumented, and unable to receive benefits through the expanded Medi-Cal program or the state’s health insurance exchange, called Covered California. The undocumented are exempt from the health law’s requirement that all individuals have health insurance. Also, the law requires large businesses to offer health insurance only to full-time employees. But many agricultural employees are part-time, seasonal workers. And if they do qualify for coverage, farmworkers struggle to afford it. Currently, four-fifths of farmworkers are uninsured. Given these challenges, some agricultural companies in the Central Valley are finding creative ways to both meet the requirements of the federal health law, and ensure that field workers and their families have access to preventative health services. The White House delayed the employer mandate for large businesses until 2015, so agricultural companies have extra time to craft these plans. Some of those new models include establishing a relationship with an existing clinic, like Agriland has done, and setting up their own health clinic, as Paramount Citrus recently did. If you’ve driven along Highway 99 in Kern County, you’ve no doubt seen the new Paramount Citrus facilities. Less visible from the road, though, is the company’s new, on-site health center. The citrus-colored clinic has two exam rooms, one lab, and office space for the health and wellness coach and providers. The company has a contract with Kaiser Permanente, which operates the clinic. All Paramount Citrus employees and their families can receive primary care services, like well-baby screenings, immunizations, and diabetes screenings. Paramount Citrus, which is owned by Stewart and Linda Resnick, also offers health insurance to its workers, and the company says 75 percent of their employees buy into the program. But the health center is free to all employees, regardless of whether they are insured. Krause says the partnership between Paramount and Kaiser is groundbreaking. “There are significant costs associated with this,” he says. “If not for the vision of our owners, it would be hard to justify. We think this is a long-term investment in the health and well-being of employees and their families,” he says. Almost 100 miles north on the 99, Agriland CEO Jim Maxwell says he will offer health insurance to all his employees. But he expects most of his low-wage workers to opt out of the insurance program. “If you look at the Affordable Health Care Act, it’s not affordable to our employees,” Maxwell says. So the company is partnering with Camarena Health, the federally qualified health center in Madera County, to provide health care to its employees. The health and wellness program is available to all employees, whether or not they participate in the company’s insurance program. The company pays for 80 percent of an employee’s health care costs at Camarena clinics, and the employee is responsible for the remaining 20 percent. “We’re trying to design a program with the help of our employees that meets their health needs, at a cost that we can all afford,” he says. Maxwell believes his plan could become a model for keeping farmworkers healthy. “If we can work the bugs out, we hope that it would be a model for others, so more and more can have access to things they really need to stay healthy,” he says. As the federal health law looms, other agricultural companies might consider these multi-pronged approaches to offering insurance, and health care to their employees. In less than three months, thousands of California residents will begin enrolling in expanded health coverage as part of the Affordable Care Act. The law is complex and touches almost every part of the health care system. But what does it mean for residents of the San Joaquin Valley? Over the coming months, we’ll explore that question by visiting with patients, doctors, businesses and clinics in the community of Madera. It’s a city that’s home to more than 62,000 people, more than quarter of whom live below the poverty level. 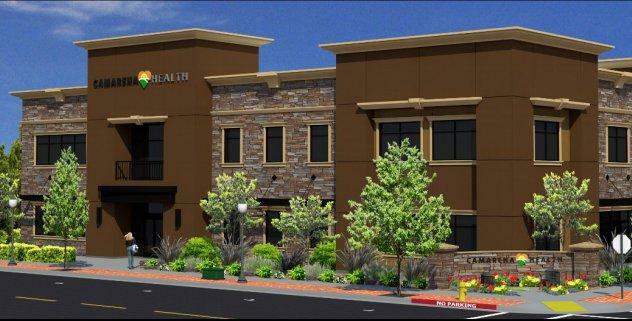 Are Teaching Health Centers the Cure to the Valley's Doctor Shortage? 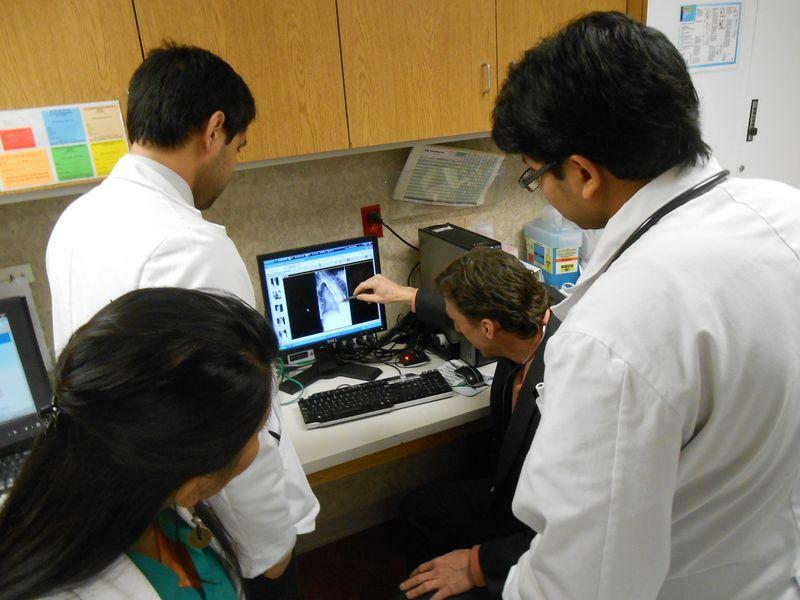 A new type of residency program may provide some relief to the Central Valley’s physician shortage, and change the way we grow and retain primary care doctors in the Valley. The model is called a “teaching health center,” and it’s funded by the Affordable Care Act. The idea behind this new approach to graduate medical education is to train medical residents in community health centers, and encourage them to pursue careers in primary care in underserved areas, like the Valley.